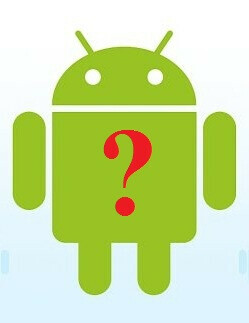 You tell us: Which Android apps are a must have? 1) Google Maps with Navigation. Sometimes it comes pre-installed on the phone, or you have to download it from the Android Market, but regardless, the Google Maps with Navigation program is our top must have app. It provides your current GPS location that can be shown as a satellite view or traffic view, check what locations are near by (restaurants, hotels, gas stations, etc), and and zoom into a street view with 360 degree rotation. But the main event is the Navigation part, where you can simply speak the destination and it will find the directions. As you are driving, the map constantly updates with your position on the road and when you need to make a turn, it shows it on the screen and an automated voice reads it aloud. And the best part is that it's free to download and doesn't have a monthly fee. 2) LauncherPro. Regardless of which version of Android you are running, everyone likes some extra customization, and that's where LauncherPro comes in. You can have up to 7 home screens and 3 dock bars of the bottom, which you can select which shortcuts you want on the dock bar and can even have a specific background image for it. There is also the ability to change the App Drawer to the 3D View, adjust opening and scrolling speeds and highlighted colors. Even though this app is free, there is a pay version called LauncherPro Plus ($2.99) that gives you a nice selection of desktop widgets that emulate the ones found on HTC Sense UI devices: People, Bookmarks, Calendar, Messaging, Twitter, Facebook, and Friends. It is also recommended to install Home Switcher so that can easily change between LauncherPro and your device's default home layout. 3) Beautiful Widgets. Even though this app cost about $2, it is well worth it. Included in Beautiful Widgets are a bunch of desktop widgets for Bluetooth, Brightness, GPS, Plane Mode, etc. But the one that we like the most is the Home Weather (or Small Home Weather) as it shows a nice widget that includes the time, date, temp, weather, and current city. Tapping on it will show it full screen, and there are also some nice customizations for selecting different clock and weather skins, font styles, and also a Live Wallpaper that will change depending on the time of day and the weather conditions. 4) chompSMS. If you are a moderate to heavy messenger, than you should give chompSMS a try. It offers numerous settings, such as customizing the list and conversation styles, colors and themes, as well as notification settings for which ringtone to play, vibrate pattern, and LED blink color. 5) Lookout Mobile Security. It's hard to believe, but there are some rogue apps out there that are designed to hurt your phone by carrying a virus, or worse, to steal your personal information. The best way of defense is not to install apps that are from unknown sources, but with thousands of apps out there, it can be hard to figure out which aren't safe. Because of this, having Lookout Mobile Security installed is a nice way to add an extra layer of protection for your phone. Not only will it scan your phone for viruses and potential threats, it will also scan each new app that is downloaded and installed. Furthermore, it also includes a Data Backup that will save your contacts, call history, and even pictures (if you select it) to their secure server, and also a phone locator that you can access via the web to view your missing phone on a map and make it play a loud scream sound. These are just a few of the apps that are available for Android, of which would be too many to mention. Let us know in the Comment section below which Android apps are a must have for you! Torque, saves me hunreds of dollars by not needing to purchase gauges for my car. well i'm on Xbox LIVE sometimes and i'm a real Achievement whore so i use Achievement More Pro which syncs your Xbox LIVE Achievements and gives you a list of completed and uncompleted Achievements by game and you can select any Achievement to get links to find a guide for that specific Achievement or to find a video for it. it's a real thumbs up. my friends and i use Dropbox a hell of a lot to share cool programs or songs or pictures or what have you so you know i have the official Dropbox app (for devices running 2.1+) for you guys not in the know here's a linkhttps://www.dropbox.com then i have my Last.fm internet radio, this service is also available through Xbox LIVE and i enjoy having my Last.fm library playing while i do my homework. i'd also really like to see a phonearena app...just saying. hey man,from where did you get the adw launcher. post the link or email me the file. regards. angad. Dx Top Lite for the Samsung Fascinate. 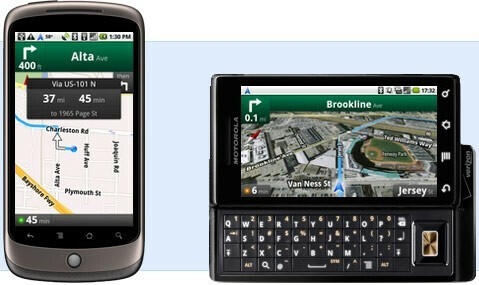 It allows me to get the Google toolbar for voice searching / navigation from the handset (google maps also needed). A must for the non Bing-ers out there. TV Listings. Better TV guide app than the one by TV Guide. Pandora/Slacker/IHeart Radio/Tune In for music and radio. G Strings guitar tuner. Better tuner than some of my standalone tuners. - Radar Now - Live weather radar based on your GPS location - AK Notepad - Store personal and business notes that are backed up online. Changed phones and sync your notes right back up on your new phone... Very useful app and great if you change devices frequently! - Audio Manager - Lets you control alarm volume, music volume, alerts volume, ringer volume, system volume and voice call volume all from one widget. G4 - Great app if you're a gamer... High quality videos, reviews, previews, walk throughs, cheats, etc... NFL Mobile (Verizon only) - Allows you to watch live Sunday and Thursday night games on your phone, as well as stat tracking, favorite teams, fantasy football, etc. Great if you love the NFL Tikl - Gives your android phone push to talk capability with any other android phone. Does not use your airtime or data to talk back and forth with other Android users on any carrier. Very sweet app. delete history.. makes me feel like i always have a brand new phone. what pisses me off is that not all apps are compatible for all phones. its android for god sakes! if the app is available on their market, then it should work on any phone that runs of your damn operating system. freakin stupid. I'll throw in a vote for Slacker as my favorite streaming radio service and another prop for ADW.Launcher. app that can be program to unlock my car doors. Viper has an starter/alarm you can install. 400.00+ 50/year. Google it. Adw launcher. Weather and toggle. Xscope . Hands down the best three apps. The rest is all window dressing. DroidCam - lets u make the best use of your high end cam...turns it into a wireless webcam to work with Skype, Yahoo Msgr, MSN etc on your PC. No Mac version yet. I wish 'FORA TV" had an Android app. The iPad has one. Now its Android's turn !!! Regarding games, Angry birds is a must have, its jus soo awesome and Air traffic controller is a very addictive game too. 1) Jetflicks is a wonderful app where you can watch all your favorite shows including all the past seasons.. shows like Weeds, Dexter, Glee, etc. are on this app and its only $50/year for unlimited access... one cool thing is that if you have a Droid X you can output the videos via the HDMI cable to your HDTV so you don't have to watch it on a tiny screen! 2) Laputa Reader has tons of books, including very popular series like Twilight, Harry Potter, Vampire Diaries, etc. and its FREE. Love it! My DX must haves: 3 Music Player LPP Agenda Widget Cache Cleaner Beautiful Widgets Ringleader - nice to have unique notifications for my 4 email and texts Catch Astro DailyBible GoogleVoice SMS Backup and restore And of course.. Angry Birds. Cut the rope soon! I have another 8 productivity apps, but the above I use alot.